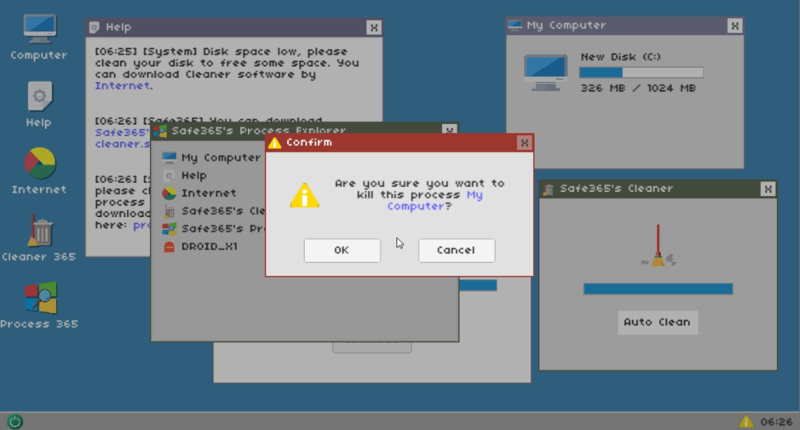 This is a game that simulates the use of computers. 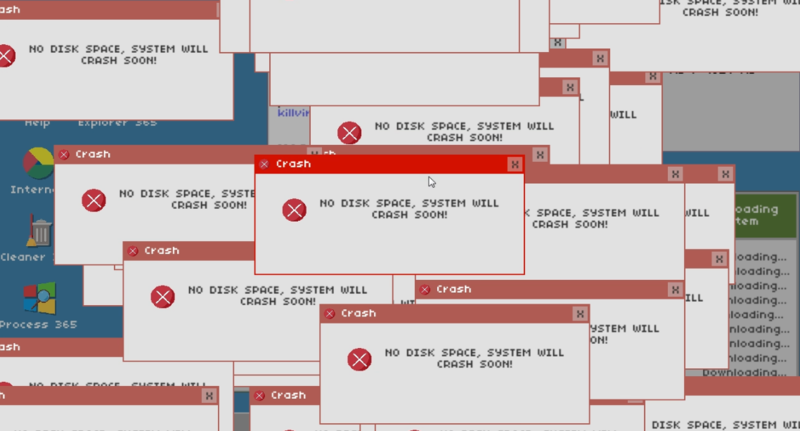 You find that your hard disk space is constantly decreasing. Through various clues, you find the cause and finally solve this problem. This game has 4 endings. That was really fun! I suggest you do more like this! I recorded a video of me playing through this and I managed to get all the endings! It was really interesting and fun to play, definitely. I am a huge fan when it comes to simulator type of games. I know I’m late with posting a video but while browsing for games, I found this game and I am glad I did! Thanks for making such a nice video! Aw you're welcome :D And thanks! In a little over two hours, I managed to beat all the endings! Thanks for making such an entertaining game! can't get to the second ending. How do I get the second ending? I have the first and last two, but I can't seem to get the second one. Whenever it gets to the point where safe365 is installing all of it's things, I can't do anything about it. The uninstaller can only uninstall itself and the disk viewer thing. Is it even possible to get past the uninstaller part? I can't use it on anything apart from itself. Hahaha this is amazing. Very stressful and hilarious. Multiple endings was a great touch. 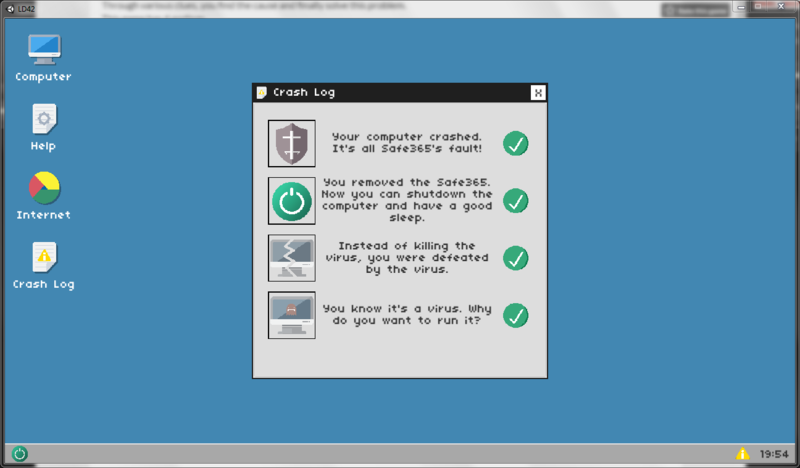 Unfortunately there seems to be a glitch where I can't download the Safe365 cleaner when I restart the game after completion, leading to an immediate dead end. The green pop up never appears in the browser. Sorry about that. The game saved your reached endings, so maybe you can restart the game to see whether green pop up will appears. If the help message from Safe365 comes up saying to download the cleaner from the internet, but not giving the link, you can go to the internet and type cleaner.safe365.com and hit go, it should take you to where you can download it. I got stuck after Droid 2 appeared. Couldn't figure out how to go on. Cool concept though! There are always some tips appears in Help window. You can check it.